What type of liposuction do you offer? 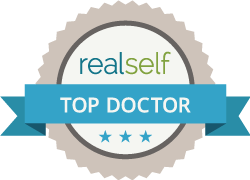 How is SmartLipo™ & Vaser Lipo are performed? Can SmartLipo™ be combined with other procedures? How can I prepare for Liposuction? What type of anesthesia will be used for Liposuction? What can I expect during Liposuction? How can I find out more about Liposuction? Edgewater and Hoboken Cosmetic & Laser Centers offers a full range of liposuction options, including SmartLipo™ laser-assisted liposuction, VASER® LipoSelection, and tumescent liposuction. A combination of liposuction techniques will provide better results for fat removal, body contouring and skin tightening. Dr. Khan will review the liposuction techniques that will best meet your specific goals, and answer any questions that you may have. During the SmartLipo™ procedure, you receive a local anesthetic to numb the treatment areas. Tiny incisions are made in order to allow the laser process to access the fat layers beneath the skin. The laser works to permanently destroy the fat cells in targeted areas. At the same time, the laser heats the underlying tissue, which will promote collagen remodeling and skin tightening in the months after your procedure. Treated fat will be gently suctioned from the body. Yes. A combination of different liposuction techniques will often provide the best overall body contouring results. In addition, liposuction may be combined with other cosmetic procedures, including fat grafting, for the face, hands, and buttocks. During your initial consultation, Dr. Khan will examine areas of excess fat in order to determine the distribution of fat and your skin elasticity. He will discuss which combination of liposuction procedures will help remove fat and tighten skin in your targeted areas. Dr. Khan will thoroughly discuss your goals and expectations, including possible risks and the best way to prep for your surgery. You will know what to expect before, during, and post procedure..
For SmartLipo™, VASER® LipoSelection, (or a combination of all three) you will need only local anesthesia. SmartLipo™ and Vaser Lipo and Tumescent Liposuction are all performed in the office operating suite. The length of your procedure/s will vary, depending on the number of body areas treated and types of treatmens. The typical case takes approximately 1-2 hours to complete. After your procedure, a binder will be placed in the area(s) and you will return home. Please arrange for a ride. Every surgery is different, and you will receive post-operative instructions for your specific procedures. You can expect to have mild bruising and swelling for one to two weeks after your procedure. Ongoing care is available to ensure your fast, safe, and smooth recovery. Dr. Khan will see you for post-op visits as recommended, typically one week and one month after your procedure. It is recommended to have weekly post-lipo lymphatic drainage massages with an experienced masseuse. Eat a well balanced, nutritious diet and take both 50 mg zinc and 500 mg Vitamin C twice daily starting 2 weeks prior to your procedure. Post-operative care includes massage therapy in order to enhance circulation, support and improved immunity function, and leave the skin looking radiant and healthy. Wearing your compression binder and garments as instructed for six weeks following your procedure is mandatory and will enhance your results.